Last month while walking dogs in a very busy Manhattan block a group of foreign girls stopped me and asked me what was something that New York City was famous for. I could have mentioned the Empire State Building, Chrysler Building, Times Square, Central Park or any of the most immediate landmarks that erupt from my mind; but instead I stepped back and approached it differently and then I answered “Hip Hop”. Their eyes got wide, I had given them an original answer, but it is one I hope that will become typical in the future. 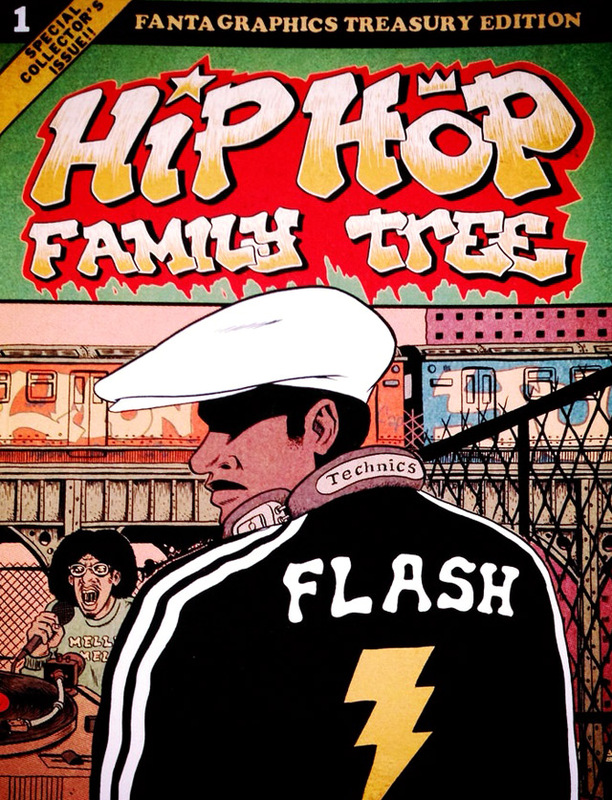 I grew up in a musically diverse household, but a constant music that I’ve always been around is Hip Hop so it was only natural that I had to pick up Ed Piskor’s Hip Hop Family Tree at my soonest behest. It had been on my Amazon wish list before the book was printed, but it wasn’t until I was at a local record store when I knew I really wanted it. At thirteen inches tall it’s an intimidating and very enticing book. The cover is heavy stock and is larger than the inside pages so they will stay in good condition which is good because these pages are straight out of the 70’s and so is the print style, it even has that smell. You know the one. 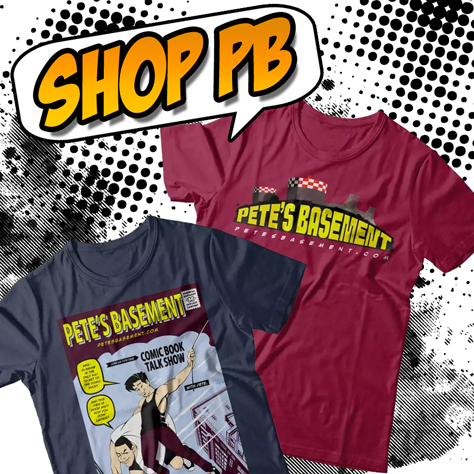 Piskor’s actually made one of my wishes to come true. It’s a secret wish where the history of Hip Hop could be transmitted in a different format other than music. A Hip Hop comic book, in my mind, is incredibly daunting. There are a lot of rappers and music executives in the history of the genre and there are many stories that haven’t been told in full, that only exist in rumor or legend. But damnit, Ed Piskor has picked up the monumental task and has fleshed out a concise map in his Hip Hop Family Tree. The book starts off running beginning with introductions to pioneers DJ Kool Herc, Grand Wizard Theodore and Afrika Bambaataa. The events that occur in the book are presented as a grand story of the first DJs and Emcees who created the first foundation of Hip Hop and the rise of the emcees who would form the first groups as well as the record labels that took advantage of them. This book is packed with characters ranging from Grandmaster Flash and The Furious Five, The Juice Crew and The Cold Crush Brothers as well as upcoming manager Russell Simmons and young, not famous versions of DJ RUN and Darryl Mcdaniels. That’s just in the first ten pages- Blondie makes an appearance! The artwork is also very good. Piskor has a good way in capturing all the characters individually and making them stand together. In a lot of funny ways this was all no different from reading a superhero book and the book has several goodies that point this fact out. If you’re a fan of Hip Hop or music in general you need this book in your collection. I am not familiar at all with Ed Piskor’s past work, but I would recommend this book as well as the second volume that’s coming out in September. Get that tight collectors edition if you can swing it, it’s hella tight.